Steve Ballmer has been bigging up Project Natal tech on a current tour of South America, telling execs that it is "the most exciting product" that Microsoft will bring to market this year. Ballmer also indicated the longer-term plans for Microsoft's motion-sensing system, noting that the tech will move beyond gaming into the rest of our lives very soon. Ballmer told execs in Bogota, Columbia this week: "Perhaps for me the most exciting product we'll bring to market this year, and it really fits in this context, actually comes out of our videogaming group. "You might say, why would I talk to a group of CEOs about videogames? Because the technology actually is very general purpose, and we'll see come into the rest of our lives pretty soon. "It's a technology that we call Natal. It's a little camera and microphone that sits on top of your TV set. And if you want to control the TV, you don't go get some remote control or big fat gaming thing. If you want to look through TV channels, you just gesture, and the computer recognises your voice, it recognises your gestures. 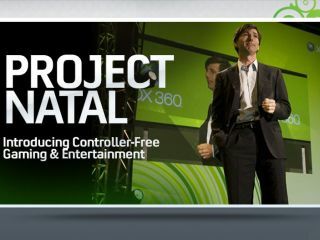 Microsoft is planning a dedicated Natal press event for E3 prior to the company's main 360 conference.